Head to New Zealand's sunniest region for wine tours by bike, first-rate cuisine and mussel cruising. Located at the northern tip of the South Island, Marlborough has something for everyone. 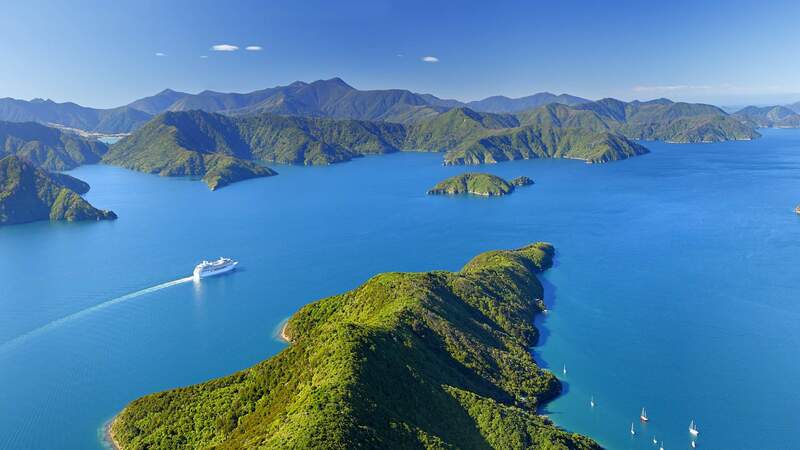 The region is famously home to the Marlborough Sounds, a winding and picture-perfect network of sea-drowned valleys which encompasses one fifth of New Zealand's coastline. It also happens to be the oldest winemaking region in the country with more than 35 cellar doors, so there's no question that one of your main objectives should be sampling local varietals. Set up your home base in Blenheim and set out on a weekend of exploration through native bush, experimenting with coffee and craft beer and quaffing copious amounts of wine. Here's a weekender's guide to New Zealand's sunniest region. When it comes to eating and drinking in Marlborough, you're truly spoilt for choice. 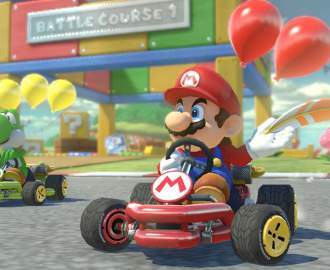 Your first stop should be Harvest Restaurant. 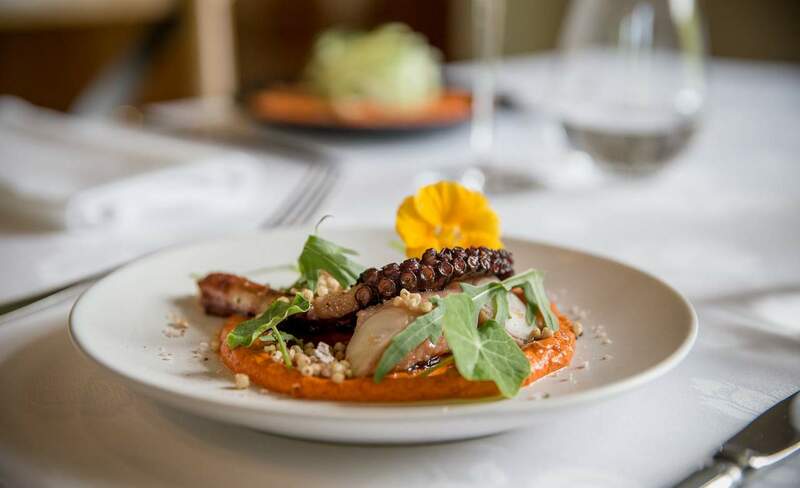 Situated inside the stunning Marlborough Lodge (a recently refurbished Sisters of Mercy convent), the restaurant comes with the motto of 'simple, fresh, local and seasonal'. Helping tick all of those boxes is Head Chef Sam Webb, who recently returned to the region after stints in Melbourne and Gisborne. His focus is to use produce as local as possible, and succeeds with a menu boasting Ora King salmon from local waters, black garlic which was fermented down the road and coriander flowers plucked from the garden beyond the dining room window. A highlight of the menu is the Wakanui beef sirloin which comes complete with a dollop of silky café de Paris burned butter. Pair with crispy fried potatoes, some seasonal greens and finish with the strawberry cheesecake. And if you happen to fall into a food coma, there are ten rooms available upstairs in the luxury lodge. In the heart of Blenheim's retail district is Scotch Wine Bar, a modern bistro with a menu centred around sharing. The best way to tick off the majority of the list is by opting for the reasonably-priced and generously-served seven-course tasting degustation. The $45 per head option will leave your wallet and belly satisfied. The menu rotates every week, but you can expect things like: panfried ox tongue with chimmichurri, spiced lamb with flat breads and an assortment of house-made chocolates. Part restaurant, part wine boutique wine shop, the venue also offers a 500-strong wine bottle list, so you're never short of beverage options. Making a decision is perhaps the biggest dilemma, but the knowledgeable staff will help guide you to the right varietal. The wine by glass options are updated every week with the dinner menu. Coffee and beer enthusiasts should make a beeline for 5Tapped. Inside a nondescript building by the Harvey Norman carpark you'll find the eclectic craft beer bar and coffee house. Run by Haydn Mearns, the warehouse-style space is melting pot of vintage collectables and recycled materials — it also serves as a museum for vintage bicycles and motorbikes with several ancient hogs on display and a workshop out the back. The bar offers a rotating selection of craft beer, including respected names like McLeods, Epic and Panhead. For those after a different kind of buzz, there are five different varieties of boutique coffee available. To continue the beer-venture, take a drive to the Moa Brewery cellar door in the heart of the wine growing region. The brewing company was founded in 2003 by credited winemaker Josh Scott. The cellar door and beer garden offers the perfect environment to work your way through the brand's varieties of beer and cider. If you get hungry, out the front sits a converted 1974 Toyota Landcruiser hawking barbecued meats, tacos and po' boys — we suggest having the best of both world's and grabbing a frank and beer for $10. Wine may be the first thing that comes to mind when mentioning Marlborough, but the region is also the world's largest supplier of Greenshell mussels. Havelock's Greenshell Mussel Cruise is one of the best ways to enjoy the sheltered waters of the Marlborough Sounds and tick off lunch at the same time. The three-hour tour slowly makes its way down the calm channels bordered by regenerating native forest before visiting an active mussel farm. Once anchored, a generous feast of steamed mussels will arrive from the galley as the skipper gives an informative session about the ins and outs of the industry and the succulent bivalves. Served au naturale, you'll learn to understand the flavour profile of the mussels and how well they go down with a glass (or two) of crisp Marlborough Sauvignon Blanc. A key reason to visit the Marlborough Sounds is for the variety of untouched scenery. The Queen Charlotte Track is a pristine 71-kilometre (one way) track that will satisfy adventure lovers. Starting at the historic Ship Cove, which is only accessible by boat, the track passes by secluded bays and through lush coastal bush. 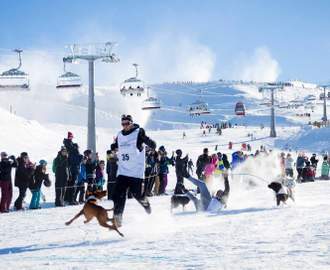 If the full slog sounds intimidating, it can be completed in short sections, and those with a limited amount of time can arrange for an afternoon pick-up by water taxi or simply fast-track it by mountain bike. You can also expect the odd wildlife encounter from tui, fantails and flightless weka as you sit down to soak up the environment. Furneaux Lodge is the first official stop when heading from Ship Cove — stop by to unwind with a drink or something more substantial from the onsite restaurant. Marlborough has over 35 cellar doors to visit (the region's 150-odd wineries are responsible for 76% of New Zealand's total wine production), so if you're in the business of vino it's a good idea to leave your car behind. 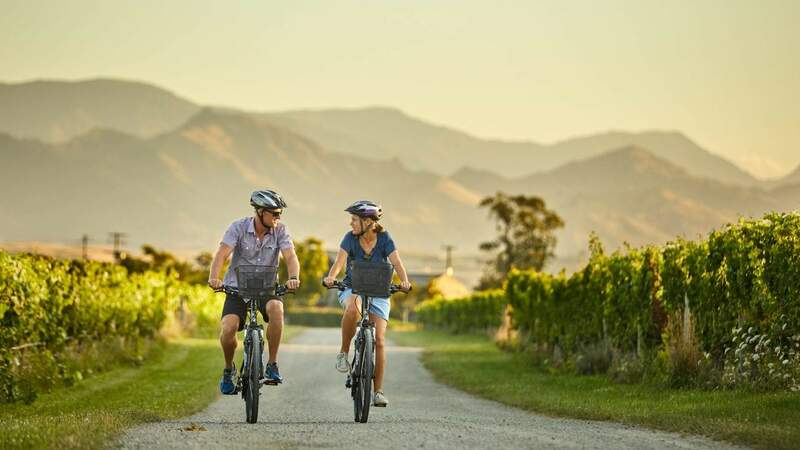 Explore Marlborough offers both guided and self-guided tours by bicycle around the region with pick-up and drop-off directly from your accomodation. Around one dozen wineries sit within three kilometres of the starting point at The Vines Village and the flat terrain offers an easy biking experience, no matter the fitness level. The guides will share insight into the region and winemaking process as you cycle past vines and traverse quiet country roads. They are also happy to offer cellar door suggestions depending on personal preference — from organic and boutique producers to big name wineries and even lunch options. For those who would rather it take it at their own pace, there's the option to make your own route on a self-guided tour. Either way, the bikes come equipped with a basket to load up with any purchases. Chateau Marlborough is a good base to set up from for exploration. The five-star hotel can be found in the heart of Blenheim, and just a short stroll from the main retail and hospitality strip. Or if you'd rather stay onsite, the property offers a heated pool, gym facilities and a beauty spa. 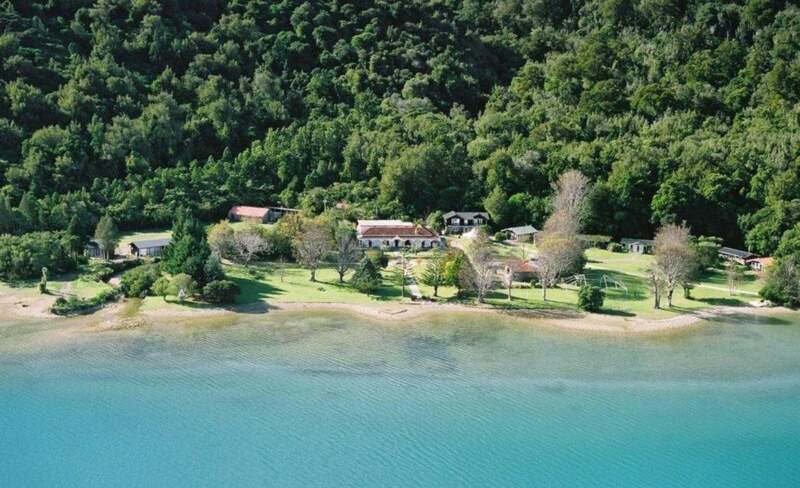 Found in Endeavour Inlet along the Queen Charlotte Track, Furneaux Lodge is a historic lodge that was built in the early 1900s. It serves as the ideal pitstop when tackling the walk or as a base in one of the property's cabins, cottages or suites to explore the area, whether you're into kayaking, swimming, fishing or dolphin watching. We recommend grabbing a drink from the bar and assembling on the expansive lawn. For more information about Marlborough, visit marlboroughnz.com/getaway/.